Sony’s Android smartwatch keeps things simple, but has it already fallen behind the times? 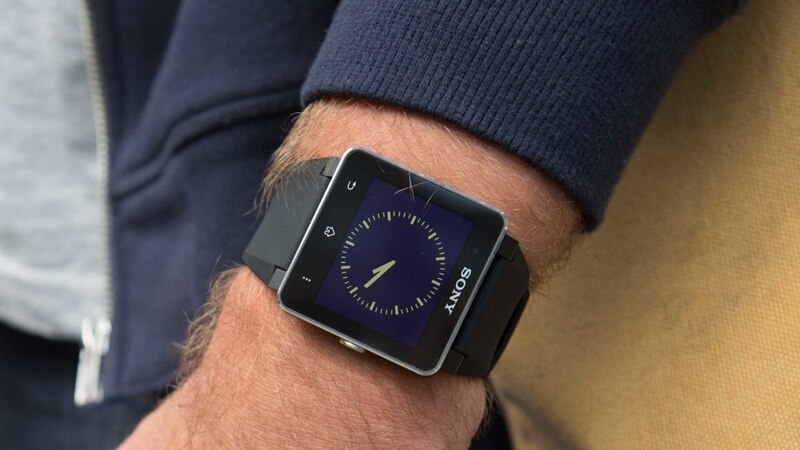 Back in 2012 the smartwatch was quite a different beast. The iWatch rumours were yet to start bubbling, Google was showing no interest in the area and Samsung's Gear was still a galaxy away. But Sony saw a lucrative new category on the horizon and rolled out the SmartWatch. Since then, wearables have boomed, and Sony returned last year with the SmartWatch 2 (£149), an full Android-running (not Android Wear) timepiece that focuses on the basics. It doesn't pack a heart rate monitor, and you can't have your phone conversations by speaking into your wrist, but Sony's take on the smartwatch gets a lot of things right. Unfortunately, it also falls foul of few snags along the way. Before the term 'Moto 360' meant anything, square watch faces were all we knew. Sony's SmartWatch 2 is as squared off as they come; shorter and wider than the Pebble Steel, it models itself on the Xperia family of smartphones and tablets. But at 122.5g it's pretty light and it's certainly not the worst - or most geeky - looking smartwatch that money can buy. There's only one physical button on the whole device - the power button sat on the right hand side - but you've also got three soft buttons along the bottom which ape Android's home, back and menu functions. The 1.6-inch LCD touchscreen - handy for doing that thing we like to call telling the time - is always on and pleasingly vibrant, however you'll need to turn up the brightness a few notches when you're in poor lighting. The UI's icon grid is also designed to look like a smartphone, and that's no bad thing - especially as this is a watch you're probably going to stick a lot of apps onto. When paired with a phone, and with the right apps installed, the SmartWatch 2 becomes a handy notification device, with the ability to deliver texts, emails, WhatsApp messages and more to your wrist. Take the phone away and you're left with a very basic watch that will show you previously-synced notifications and - most importantly - tell you the time. Oh yeah, and there's also a 'torch' (if you can call it that) which is essentially just a white screen. Keeping the SmartWatch 2 on your arm is a rubber wristband that's perfectly comfortable but perhaps a bit flimsy for some. Luckily, Sony's also offering up a stainless steel strap in case you like your wearables a bit more premium. With an IP57 certificate, you'll also be able to splash it with a bit of water, but don't go submerging it - and whatever you do, make sure the Micro USB flap is covered before you chuck any liquids at it. The SmartWatch 2 isn't designed to be a full-blown fitness device in the ilk of the TomTom Cardio Runner or the Jawbone UP24, but with such a large number of apps just a few taps away it's possible to turn Sony's watch into a semi-decent fitness coach. The SmartWatch 2 packs in an accelerometer and can pair its pedometer with GPS, so while you won't be able to take a heart reading, you've got plenty of tools to get you moving. To get you started, the SmartWatch 2 is compatible with the Runtastic app, which will give you at-a-glance metrics such as distance, calories, average speed when you're out on a jog. All of that will then be synced to your phone after for you to do with as you wish (you also get complimentary Runtastic Pro account in the package). Meanwhile, the watch's water resistant design means it's ready to face a downpour, should you be caught out mid-run. Like most companion apps, the Sony SmartWatch 2 SW2 app is the real brains behind the band, but unlike Samsung's Gear watches, Sony's offering will work with any phone running Android 4.0 or later, with the option to pair via NFC. The frustrating thing is that you'll also need to download the Smart Connect app to get anything to work, which is a little more demanding than it should be. But from here you can add or remove any of the (around) 400 dedicated SmartWatch 2 apps, and you'll need to install a number of these if you actually want to get the notifications that Sony's watch is made to deliver - very few come installed as standard. A slight niggle we have is that all of the apps work as third party extensions, so each time you select an app you like the look of from the SW2 software, it'll push you back to Google Play to download it. It's not the end of the world, but it does make the experience feel a bit less seamless. One of the best features of the app is the Watchface Editor, which (as you've probably guessed) lets you customise the design of the clock face and add any additional widgets you'd like. You'll probably kill a big chunk of time playing with this one, and we don't blame you one bit. Sony predicts three to four days of battery life from its Smartwatch 2, and that's pretty much what we found that we'd get. In a few years time we'll probably be laughing at that number, but considering that the display is never fully off, it's not all that bad when compared against its rivals (especially the latest Android Wear devices). But like any gadget, battery life will depend on how you're using it: you're always going to get more mileage with the backlight at its dimmest and notifications kept down to a minimum. One of our favourite features of the SmartWatch 2 is its use of simple Micro USB charging, so chances are you won't be far from a power source when the battery indicator starts flashing low. While it’s packed with plenty of apps to keep you busy, the Sony SmartWatch 2 is a pretty stripped-down take on the wearable. And less than a year after its release it already feels a tad out-dated. Still, if you can’t hold out until the SmartWatch 3 rolls around, the 2 is a lot cheaper than many of its rivals right now, and certainly not the worst option you could throw your money at.